Wearing our superior quality Los Angeles Dodgers lapel pins on your jacket or hat to express your deep love of Dodgers and attend each of their tournaments to support as well as cheer for them . The dodgers are a famous professional baseball team in America, formed in 1884 in Brooklyn, New York. The team was once called “Groom’s team” because there are six players were married in 1888. Due public transport of Brooklyn has developed rapidly at that time, the team also called Trolley Dodgers (tram Dodgers), as last referred to as “Dodgers “, has moved to Los Angeles in 1958. Dodgers’ director of graphic design by Ross Yoshida has detailed some of the features in the logo. Nothing can be more exciting than sitting in your favorite ballpark and watching your favorite team with a hot dog in one hand and an ice cold beer in the other hand on a hot, sunny day. Nowadays, this scene has been as symbol of American culture. Baseball has around 60, 70 years history, from the decline time to expansion even to the long ball era. The sport is a popular sport in Americans and it always will be. Wear our Los Angeles Dodgers lapel pins to commemorate the 60th anniversary. Our Los Angeles Dodgers lapel pins are 1.5″ Soft enamel pins, crafted of select jeweler’s metal, silver plated and filled with enamel color. Each of pin includes two standard clutches back that will keep this pin securely in place on your garment. Price can offer to you with different size and different quantity, Here is the price list from our Automated Quotation System for Custom Lapel Pins, you can choose depend on your own ideas (size ,quantity). GS-JJ has largest selection of custom baseball pins available anywhere. Custom baseball trading pins are as a great way to award and encourage your members of team .It is also perfect for baseball tournaments and more. Baseball trading pins are a part of the baseball tradition same as baseball hat and baseball T-shirt. When it comes to baseball trading pins, your Number One source is GS-JJ. You can creating your custom baseball trading pins with soft enamel or offset printed ,just the manufacturer of process is different ,will display the unlike outlook . 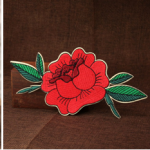 Anytime, you can ready to let our experienced masters give it a shot, just click our website https://www.gs-jj.com/lapel-pins/Custom-Lapel-Pins , call us toll-free at 1-888-864-4755 or email us info@gs-jj.com and our trained team will do the first proof within 24hours, and modify proof within 12hours. 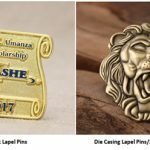 We will show you that you really can get your personalized lapel pins fast with best service.